SUBJECT: Weekly Report on Major CDC Activities - INFORMATION. This memo features info on Mt. St. Helens, silica flour, and introduces the Task Force to study illnesses in homosexual men. Attached are notes from the 9/16/81 Task Force Meeting. 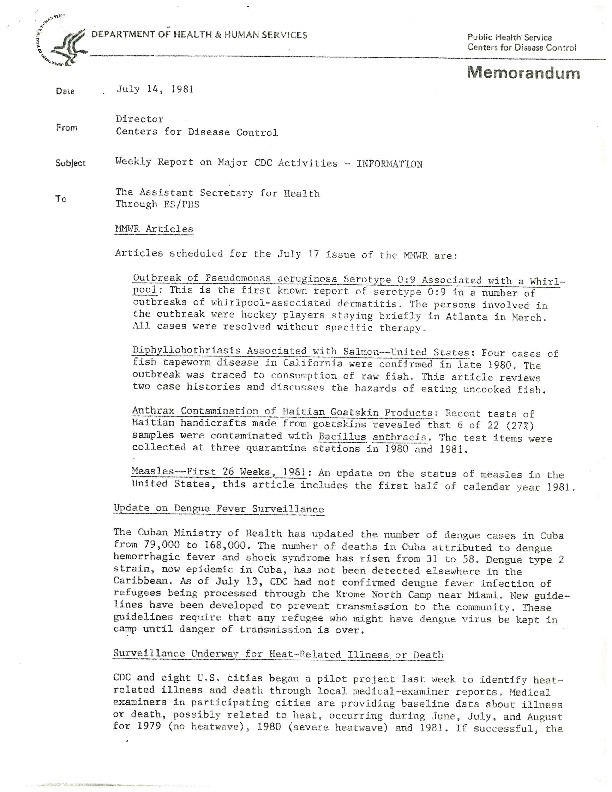 “MEMORANDUM: CDC Activities ,” The Global Health Chronicles, accessed April 22, 2019, https://globalhealthchronicles.org/items/show/6624.